My big book on Graceland shows Elvis had a room he called the Jungle Room. 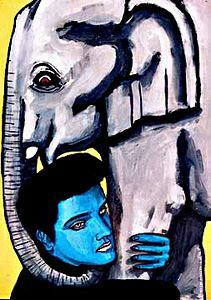 Elvis loved animals. He had chows, poodles, Pomeranians, great danes, horses, mules, chickens, ducks, peacocks, monkeys, a chimpanzee, turkeys, and a myna bird. I wish he had an elephant too.